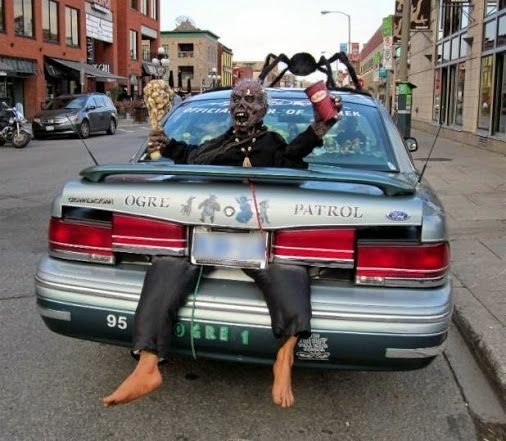 Halloween is right around the corner, and what better way to make the best out of it than to decorate your cars! Get creative with your web (as long as you can still see through your windows)! 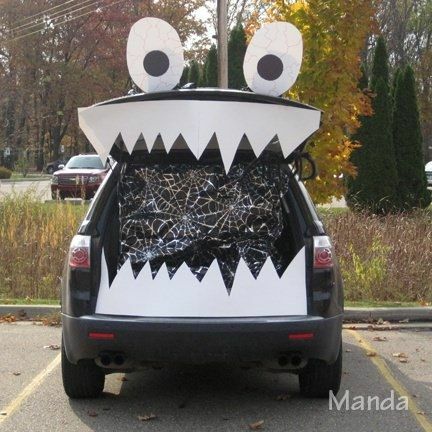 You only need a few cardboard boxes to create this monster’s mouth with your trunk. Want the biggest pumpkin you can find? 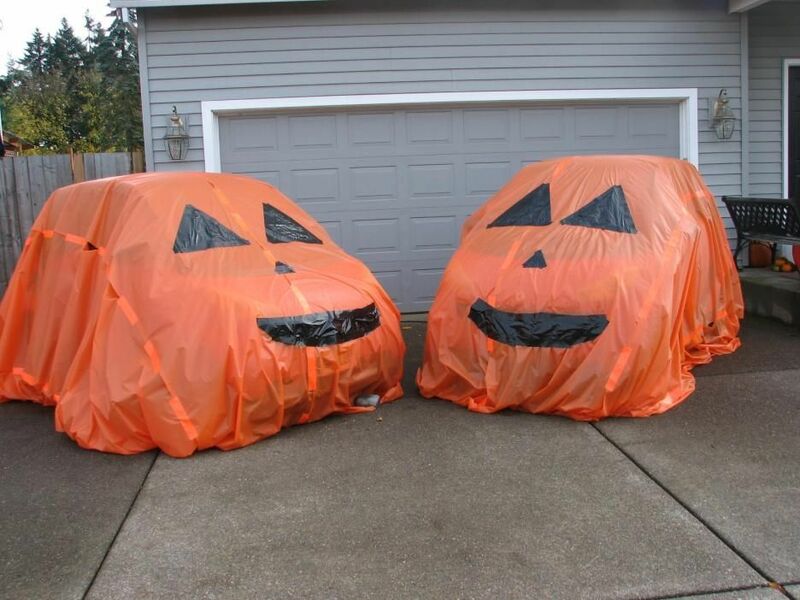 What better way than to transform your car into a pumpkin? 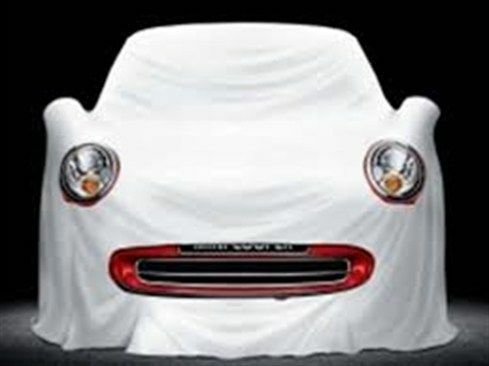 A big white sheet is all you need to create the ultimate ghost car. Boo! 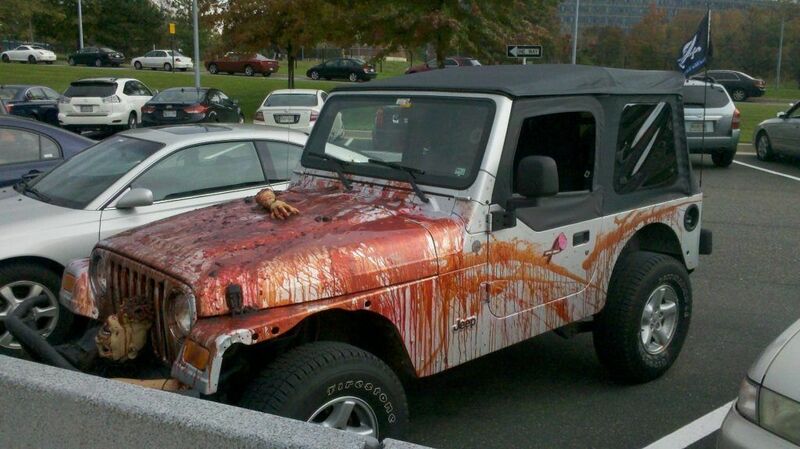 Create your own fake blood and pour it on your car to create your own bloody car. Do you have a creepy ogre laying around? Might as well make a use of it! Halloween is never ogre.